Apple software head Scott Forstall told employees they would have to 'give up weekends and evenings for a couple of years' when recruiting a team to build the iPhone. Testifying in the Apple vs Samsung patent trial, Forstall revealed details of the secret Project Purple initiative, which would become the first iPhone handset. Forstall said he was asked by Steve Jobs to recruit the "superstar" team from current Apple employees only and was not permitted to tell them what they'd be working on. He told a California court that candidates were informed: "We're starting another project. It's so secret I cannot tell you what the project is." "You are going to have to give up nights and weekends probably for a couple years," he informed those employees that were brought into his office to be made the offer. 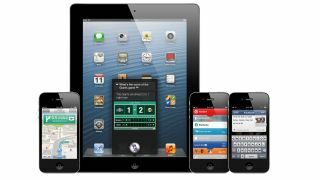 Forstall also how he and many others at Apple considered whether the company could apply the tech it was already working for the iPad could be applied to a phone. It turned out that it could. He told the court: "I remember sitting with Steve and some others, and we all had cellphones and hated our cellphones." He said that he often wondered: "Could we use the technology we'd been using with touch and use that same technology to build a phone, something that could fit in your pocket, but give it all the same power we were looking at giving the tablet?" It was also revealed in court that Apple sectioned off and locked down an area of its Cupertino campus, which became known as 'the purple dorm' to the chosen few selected to work on the iPhone. "We put up a sign that said 'fight club' - first rule of the Purple Project is you don't talk about Purple Project outside those doors," he said.